The studio was founded in early 1999 by four animation artists: Trevor Bentley, Mauro Casalese, Olaf Miller, and Rob Davies. Atomic Cartoons came about by being at the right place at the right time. Rob was working at Warner Bros TV Animation in Los Angeles in 1998 when a fellow director asked him if he knew of any animation studios in Vancouver that might be interested in taking on the pre-production of 26 episodes of a series. Rob’s three-year contract was coming to an end at Warner Bros, so with the 26 episodes in hand- he spoke with Trevor, Mauro, and Olaf and they decided to literally open a studio to accommodate the production. The four of them, with help from Mauro’s wife, Nancy, as production manager, literally did all the work themselves for the first month until they received their first cheque from the client. It was then that they were able to hire some actual staff and spread the workload out! That particular production opened the doors to many gigs from there on out. In 2004 Atomic Cartoons co-produced their own series, Atomic Betty which ended up airing in 120 countries and ran for three seasons. The series was based on a female protagonist, Atomic Betty, named of course after the studio, and still remains the “studio mascot”. In 2010, Olaf exited and Rob Simmons joined the company as a partner and missing piece to complete the Atomic team. 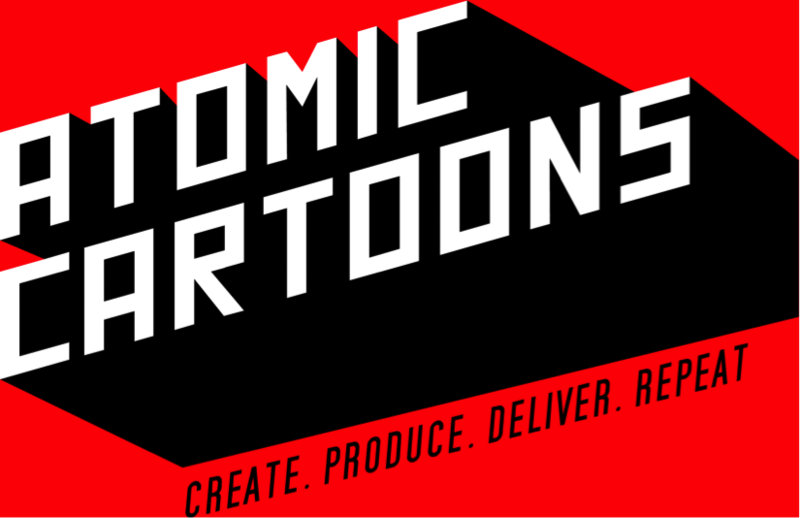 In 2012, Jenn McCarron (who is now company president) joined the Atomic Cartoons executive team, bringing with her extensive production experience (and incredible people skills) and knowledge of the CGI pipeline and processes. With crucial key people in place, the studio was able to expand to the size and scale you see today. As a studio, Atomic has been nominated numerous times for Leo Awards, Gemini Awards, and even a British Academy Award. Recently they won at the 2017 Daytime Emmy Awards with their preschool co-production, Beat Bugs, and picked up a win at the Australian Academy of Cinema and Television Arts. Check out the new Minecraft series launched last week, with over 1 million hits already this is on its way to being another national favourite.